Savvy Spending: Amazon: Free trial of Prime Video! Amazon: Free trial of Prime Video! 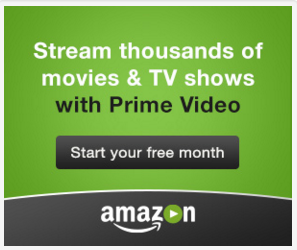 If you have been considering Amazon Prime Video, sign up and Start Your Prime Video 30-Day Free Trial Now! During your 30-Day Free Trial, you will enjoy unlimited streaming of movies and TV shows, FREE Two-Day Shipping, and more Prime benefits. Exclusive Amazon Original content such as Emmy award-winning Transparent, critically-acclaimed The Man in the High Castle, and Daytime Emmy-winning children's series Tumble Leaf make Prime Video the perfect streaming companion for the entire family. There is no obligation to continue and you can cancel at anytime!